Business Rates review…will you pay more? 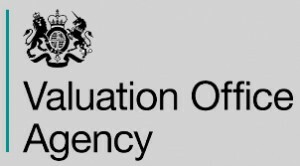 The Valuation Office Agency (VOA) is undertaking a re-assessment of the rateable value of all business properties, which is due to come into effect from 1 April 2017. The VOA generally reassesses all rateable values in England and Wales every five years (although the last revaluation was in 2010), based on open market rental values on a valuation date two years prior. The next revaluation will be based on rental values on 1st April 2015. Taking into account changes in the property market, the basis of the upcoming revaluation is to maintain fairness in the rating system by redistributing the total amount payable in business rates; it is not intended to raise extra revenue overall. IMPORTANT: The VOA will not be sending out printed draft valuations for this revaluation. Draft rateable values will be published online on 30 September, and failure to check these details may result in occupiers paying the incorrect amount of rates. Given the volatility of market rents and differing regional performances from 2008 to 2015, some ratepayers will see a significant change to their liability for rates, so it is important to check your draft valuation. Government is also introducing changes to the business rates appeals system in April 2017, full details of which should be published shortly. These changes are designed to avoid unnecessary or unjustified appeals, particularly those submitted by professional representatives on a ‘blanket’ basis, and will include provisions for the ratepayer to pay fees and potentially to incur penalties. It is proposed that the new system will consist of three stages: Check, Challenge, Appeal. The check stage will ensure that relevant facts are validated by the ratepayer (or their professional representative) and agreed as far as possible. 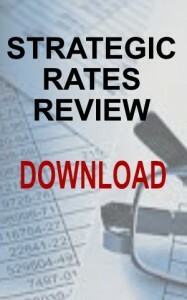 If necessary, the rating list will be corrected to reflect the facts. It’s proposed the case has been ‘in check’ for up to 12 months (can be extended by agreement) in order to allow a ratepayer to move to challenge stage. Ratepayers may proceed to challenge stage once the check stage has been completed, and it is proposed that a challenge must be submitted within 4 months of the completion of check stage. It will be necessary to set out the reasons for the challenge, and put forward an alternative valuation that’s backed up by supporting evidence. It will not be sufficient to simply state that the assessment is not correct. Where a challenge does not present sufficient grounds, substantive reasons and an alternative evidence-backed valuation for a challenge, the VOA will not accept it. There may then be an opportunity for further discussion between the parties, but it should not be assumed that new evidence, arguments or amendments to the challenge will automatically be accepted. It is also proposed that there will be a trigger point for the challenge stage, so that ratepayers have the right to move from challenge to appeal after 18 months, regardless of whether the VOA has completed its consideration of the case. The appeal stage makes it possible to appeal to the independent Valuation Tribunal for England (VT). An appeal can be made within 4 months of a decision notice (if one was issued) and within 4 months of the conclusion of the challenge stage if no decision notice was issued. The VT will consider whether the VOA has made the correct decision on the challenge, based on the evidence put forward and exchanged at the challenge stage. If the VT disagrees with the VOA’s decision, it may conclude that the ratepayer’s proposed rating list entry is correct, or alternatively it may substitute its own. The VOA is likely to introduce fees for appeals, in line with the approach proposed for other tribunals such as the Tax Chamber. It’s thought that fee levels could be flat rate, or could be linked to rateable value. IN the event of a successful appeal, ratepayers would receive a refund. In line with other tax systems, expect the introduction of civil penalties for the provision of false information by ratepayers or professional representatives during check or challenge, whether provided knowingly, recklessly or carelessly. Again, penalties could be flat rate or could be linked to rateable value. Government is expected to announce the UBR multipliers for 2017/18 between December 2016 and January 2017. In the current 2015/16 year the UBR in England is 49.3p/£ and 48.0p/£ for small properties. It is considered likely that the aggregate rateable value is likely to fall on the 2017 revaluation, leading to an increase in the UBR. It has been predicted that the 2017/18 UBR for standard hereditaments of 51.2p/£ to 53.3p/£, so, even where rental values have remained static, the effect of the increased UBR means many ratepayers will be paying more. Clearly, in locations were values have risen, the combination of increased rateable values and the UBR will result in a significant increase in the amount of rates payable. On the introduction of the previous revaluations, Government adopted a system of transitional phasing. It seeks to cap the annual increase (or decrease) in ratepayers’ liabilities if, as a result of the revaluation, the increase (or decrease) in the amount of rates payable is disproportionately large. Whilst it is expected that a similar system for transition will be implemented in 2017, government is not expected to announce details until January 2017. The government’s much anticipated high-level strategic review of the rating system should be in the public domain by 31 December 2016. The terms of reference and discussion paper is available here for download. – Start planning now for the 2017 revaluation, and provisioning for changing rates liabilities. – Detailed property or portfolio data should be assembled ready for checking the new draft rateable values from 30 September 2016. – Stand by for upcoming announcements on the detail of the new appeals system, the 2017/18 UBR and the future system of transitional phasing. If in any doubt, always seek professional advice.